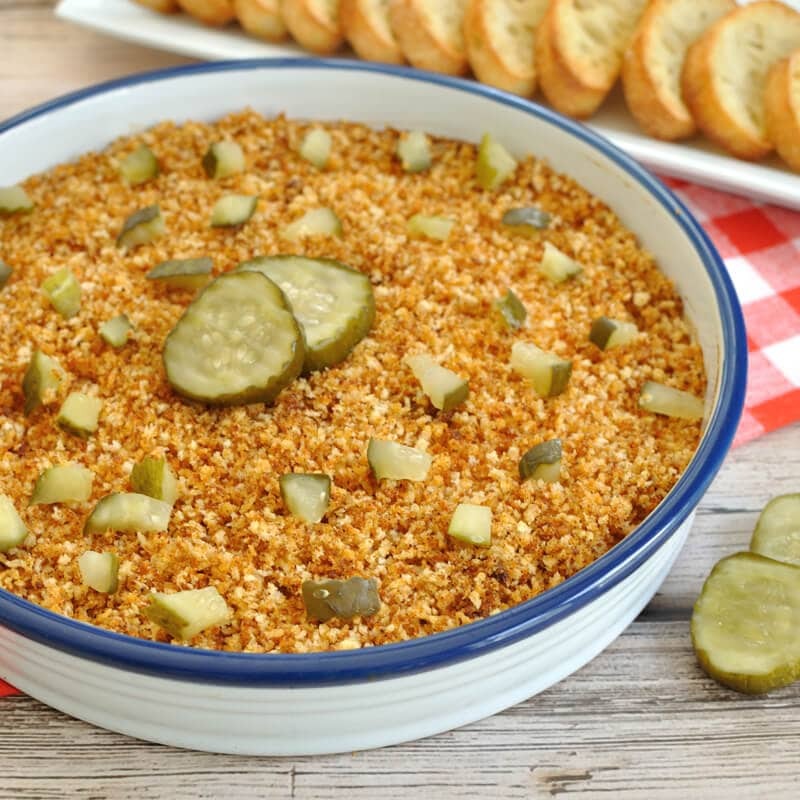 This easy Crock Pot Garlic Parmesan Chicken Wing Dip will be a fan favorite among your game watching crowd! 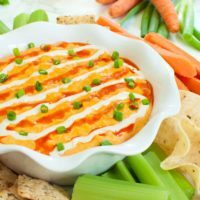 A great dip recipe alternative to Buffalo Chicken Dip for those who don’t care for spicy food. Well I hope everyone had a great holiday! Do you ever take a vacation trip during Christmas break? I was able to accomplish one of my bucket list items and go to New York City during Christmas time this year. Talk about a foodie’s paradise. My husband and I enjoyed some amazing Italian food, tried Wafels & Dinges for the first time, had the most massive milkshake I’ve ever seen and I also got a bowl of the Magnolia Bakery Banana Pudding. All the lights and decorations, the Rockefeller Center Tree, and the Christmas Markets were absolutely wonderful. The holiday season may be over, but the season of game watching parties is still in full swing. The College Football National Championship game is on Monday night and NFL playoffs will soon follow with the Super Bowl the first week in February. Not to mention if there are any basketball fans in your house, then that will take the sports watching well into the month of March. 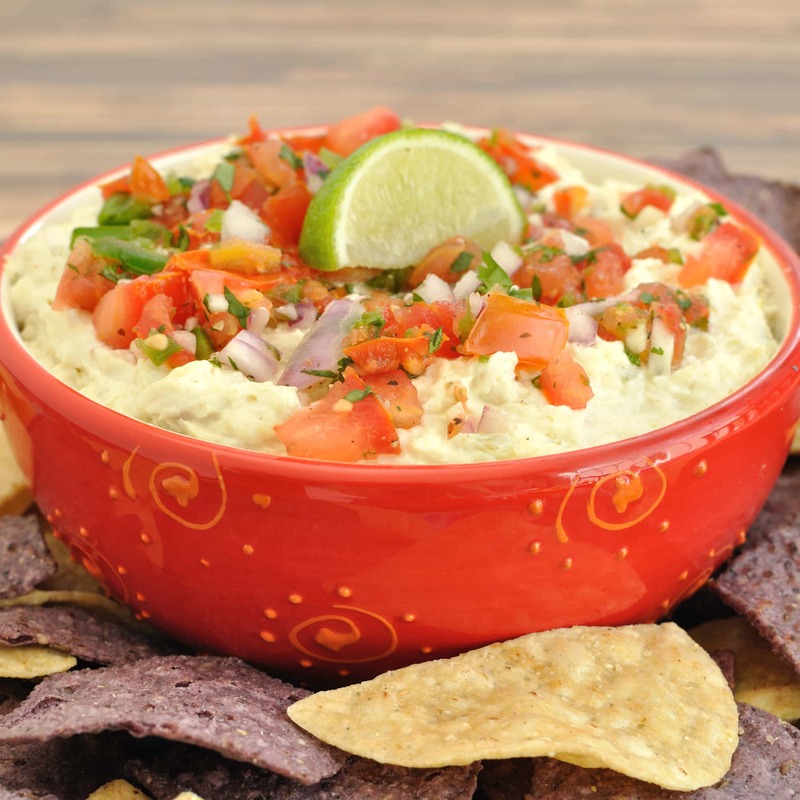 Game days involve lots of snacking in front of the TV and dips make the perfect food to enjoy while cheering on your favorite team. 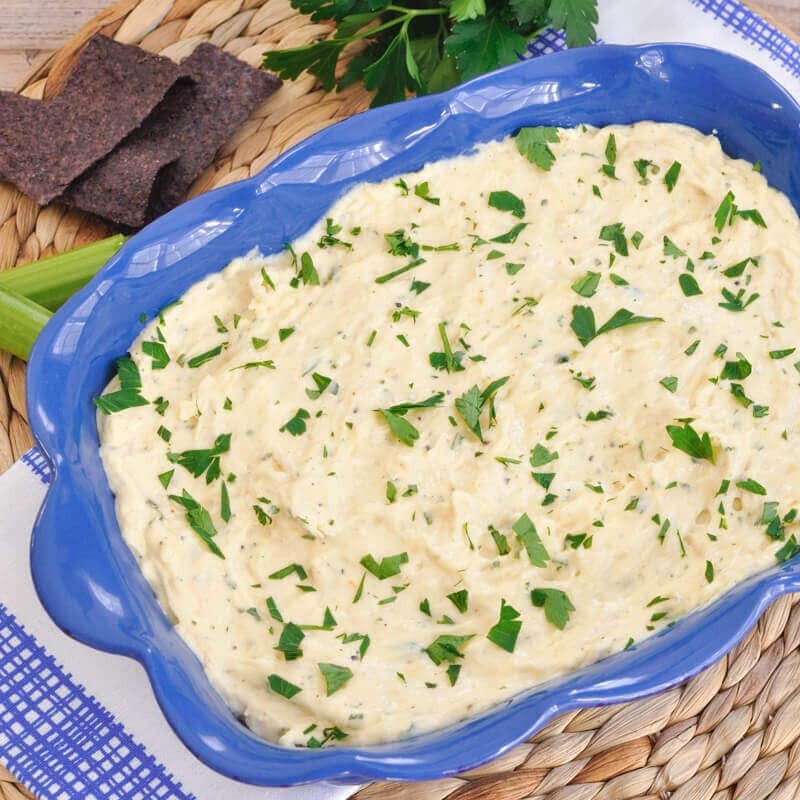 This creamy version of a chicken wing dip features lots of garlic and parmesan cheese instead of buffalo sauce just like the mild, garlicky wings at your favorite restaurant. Serve with tortilla chips, crackers, bread, or veggies. And what could be easier than dumping everything in a crock pot and turning it on? Keep warm and serve directly from the crock pot or put in a decorative dish and bring it closer to the action. 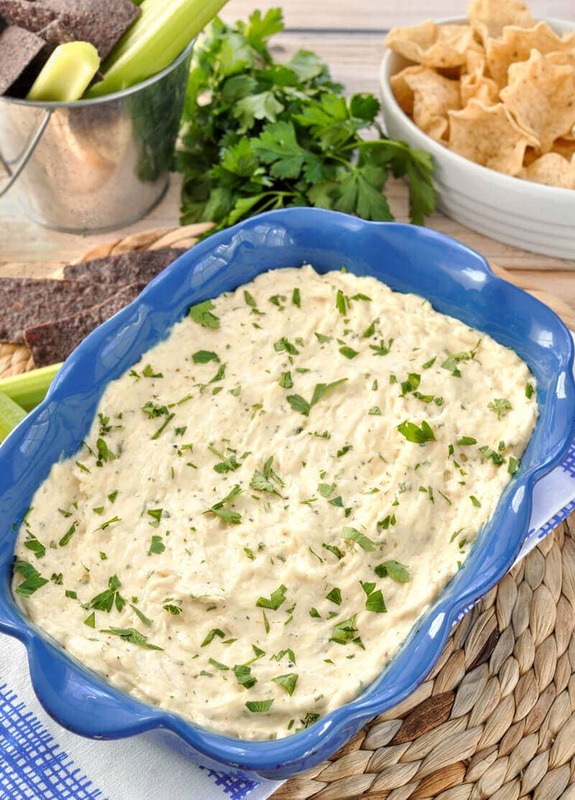 Easy Crock Pot Garlic Parmesan Chicken Wing Dip appetizer for your next party. 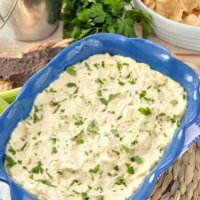 Great chicken dip recipe for the non-spicy crowd. Perfect for game day and tailgating too. Heat on high for 30 minutes or until the dip is creamy and warm. Stir occasionally to mix ingredients together. 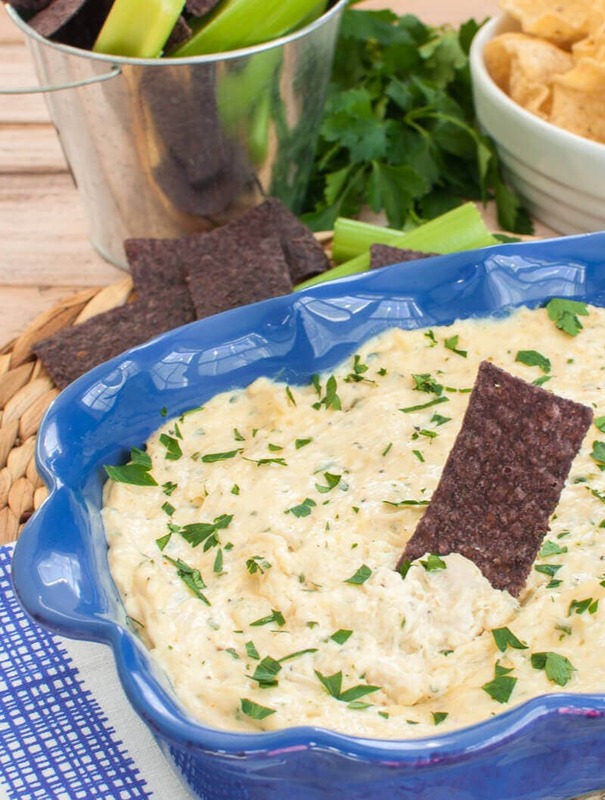 Serve this Crock Pot Garlic Parmesan Chicken Wing Dip with tortilla chips, bread, veggies, or crackers. Looking forward to trying this new Chicken dip! I know it will be delicious like all the other recipes.